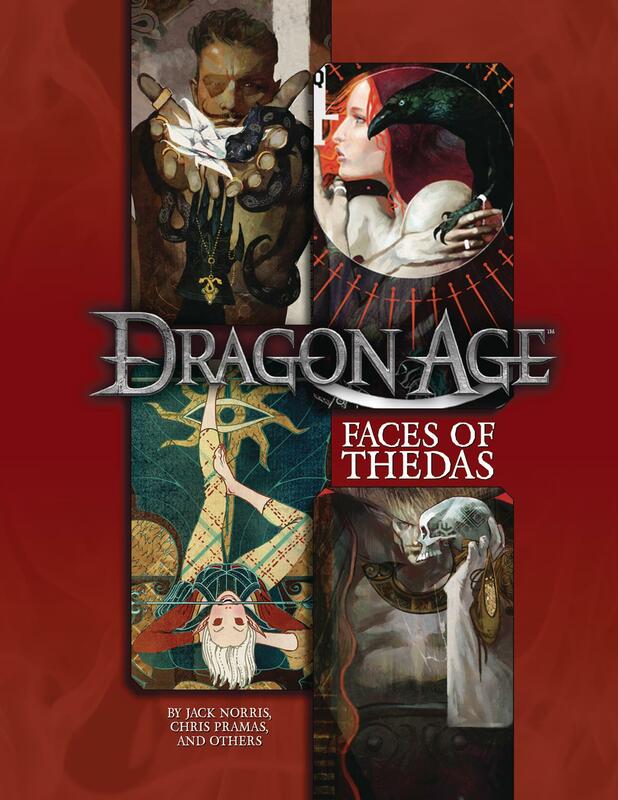 Faces of Thedas lets you bring a host of compelling characters from the Dragon Age video games and beyond to your game table. From fan-favorite companions like Alistair and Dorian to deadly antagonists like Loghain and Knight-Commander Meredith, this book gives Game Masters a memorable cast to work with, providing game statistics, backgrounds, and advice on how best to use these characters in your own Dragon Age campaigns. It also includes new rules for managing and using relationships in play, giving additional depth to rivalries, friendships, and romance. Major organizations like the Antivan Crows and the Carta are also detailed. Faces of Thedas is a must for any Dragon Age GM.